From a bottle of Carlton Draught (hat tip to Kevin for asking). Want to help with the Linux kernel? 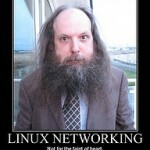 This entry was posted in Australia, Linux, Silly by Chris Samuel. Bookmark the permalink. Funny! What drink was this? It’s from a bottle of Carlton Draught. Thanks for asking, I’d meant to say originally!